What is unexpected about this photograph? 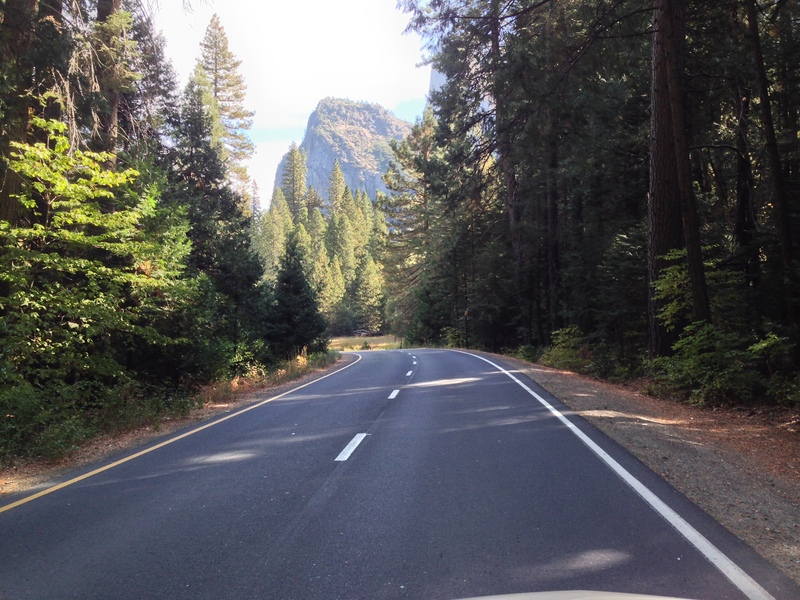 It’s Yosemite National Park on a pleasant Sunday afternoon in the fall, but that is not unusual. It is a beautiful scene, one enjoyed by millions of visitors each year, but that is neither strange nor unexpected. Give up? You would expect some of those millions of visitors would object to me stopping in the middle of the highway, getting out of my car, and taking this terrific photograph. No one objected because no one else was there, not a soul. The Park was closed! For us, it was not a problem because we had rented a private cabin, and therefore enjoyed limited access. We couldn’t hike into some of the more remote areas because of the closure, and also because my wife broke her right foot several days before this photo was taken. She wasn’t in the mood to do any hiking. There are 401 National Parks in the United States, and last fall they were closed to visitors for several days and in some cases for several weeks. 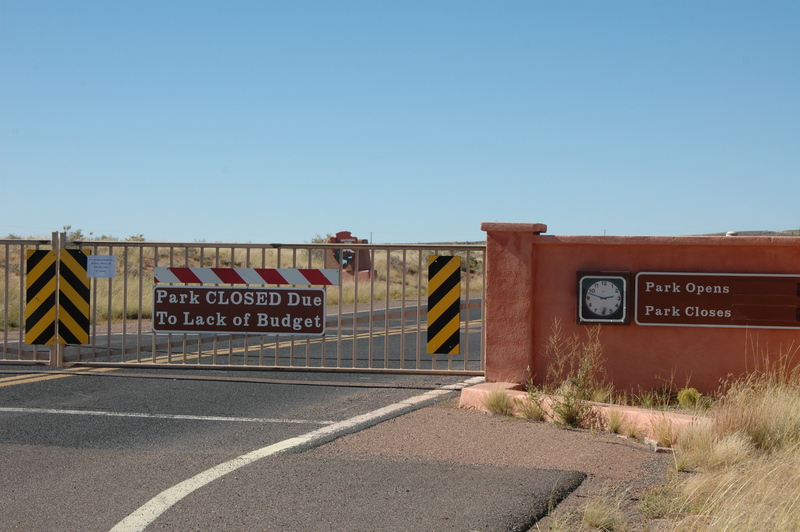 The media certainly reported about the park closures, but little was made of the consequences of this purely political decision. As luck would have it, my wife and I were traveling during this time and were slightly inconvenienced by these closures. There was only one park we could not enter at all, and we laughed as we saw the sign on the gate. A scenic road through the park connects Interstate 40 to U.S. Highway 180 in Eastern Arizona. Closing Petrified Forest National Park inconvenienced some people who would normally use this route to Woodruff, AZ, about 26 miles south of the park entrance. We questioned the logic of this closing but went on our way. For us there was a silver lining, we were able to get to Meteor Crater, AZ in time to see it and enjoy the museum before it closed for the day. It is not a national park. After the shutdown ended, I remember reading that the closures were actually unnecessary. I was appalled by accounts of veterans attempting to visit the World War II Memorial in Washington, D.C. Everywhere we traveled we noticed large numbers of travelers from United States and many other countries, and we wondered how many had been disappointed, inconvenienced, and even hurt financially or worse by this failure of our federal government. All of this is old news by now, or is it? For the last week, certain media outlets have been obsessing over the dirty politics of closing a lane of traffic for four days in New Jersey. For those of you who watch the news, you’ve heard horror stories of the people inconvenienced by this traffic nightmare. There was even a death allegedly caused by this corrupt political act. I wonder how many horror stories went untold when the United States Government shut down for 16 days last October? Was the shutdown of the federal government and the closing of national parks and memorials a political act intended to punish someone? I’m not surprised by media bias, everyone has a bias. I just wish they would be honest about it. Perhaps I’m naïve, but isn’t the purpose of government to make life better? Isn’t the purpose of the media to discover the truth? This entry was posted in Media, Musings, Politics and tagged confirmation bias, Dysfunctional Government, Media Bias. Bookmark the permalink.